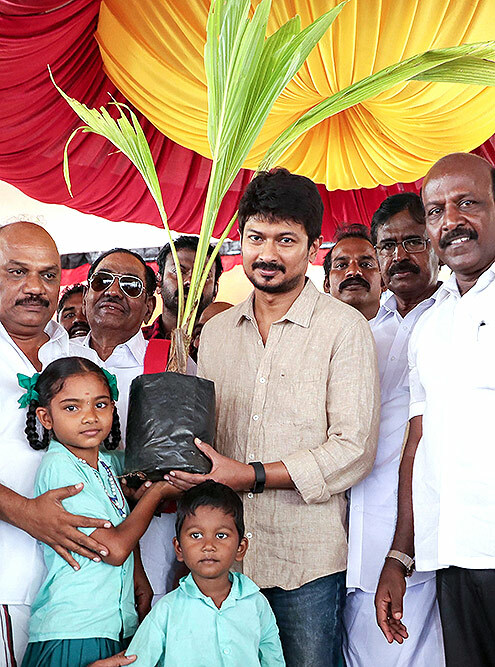 Actor-politician Udhayanidhi Stalin, son of DMK president MK Stalin, distributes coconut tree saplings to victims of cyclone Gaja, in Pattukkottai. 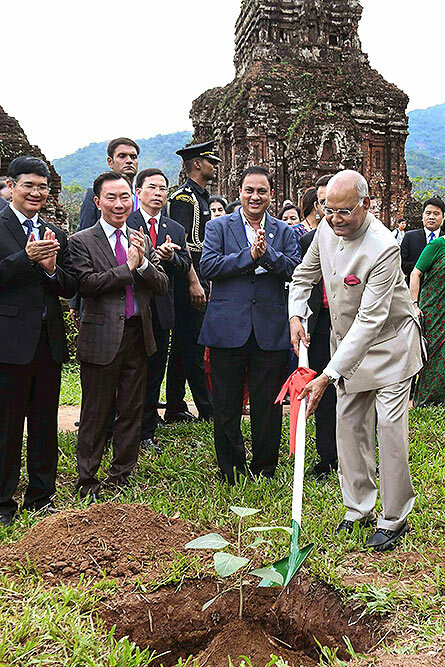 Indian President Ram Nath Kovind plants a sapling during a visit to My Son, a UNESCO world heritage site, near Da Nang, Vietnam. 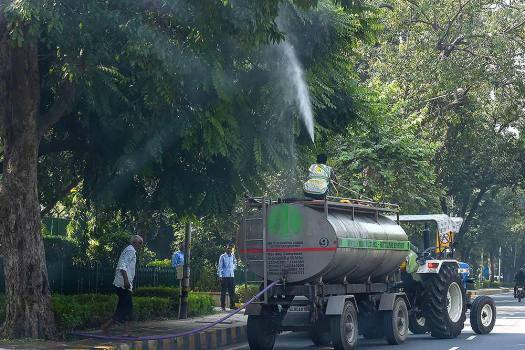 An NDMC worker sprays water on trees in an attempt to reduce dust pollution, in New Delhi. 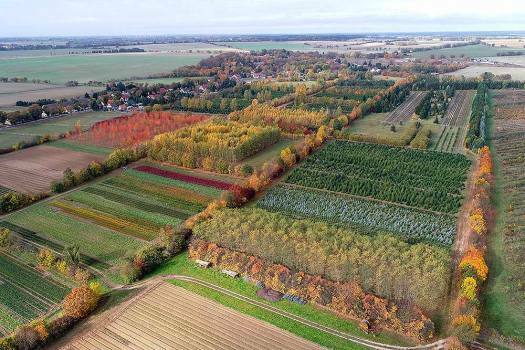 Various colorful trees of a tree nursery are seen in Tempelberg, eastern Germany. 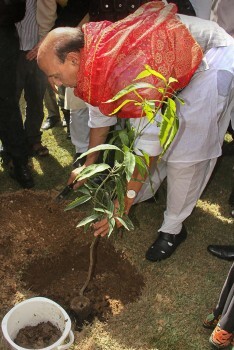 Delhi Chief Minister Arvind Kejriwal plants a sapling during a mass plantation drive at Garhi Mandu, in Delhi. 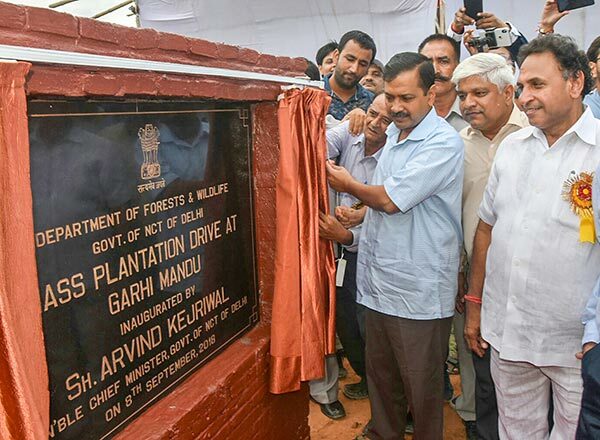 Delhi Chief Minister Arvind Kejriwal plants a sapling during a mass plantation drive at Garhi Mandu, in East Delhi. 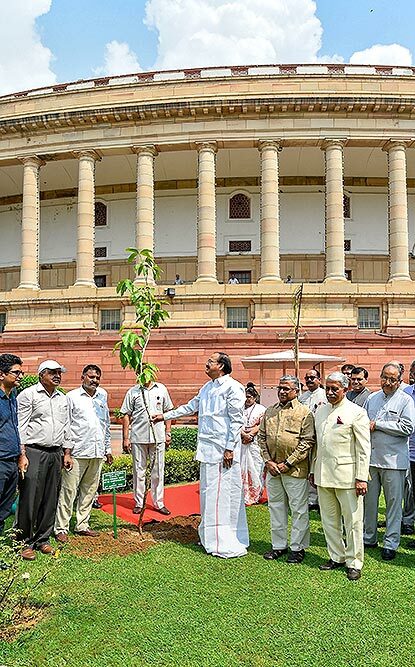 Vice President M Venkaiah Naidu and Deputy Chairman of Rajya Sabha Harivansh Narayan Singh after planting a sapling at Parliament House, in New Delhi. 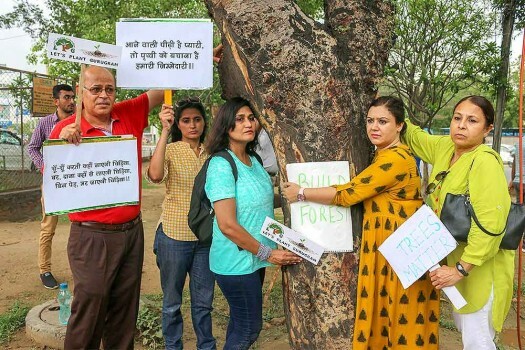 People display placards during 'Chipko movement’ an awareness campaign to save trees, in Gurugram. 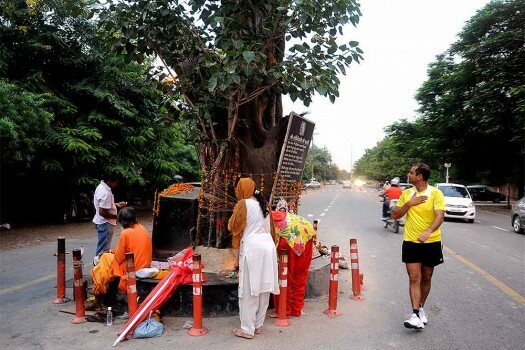 Devotees worship a Peepal tree in the middle of a road in Noida. 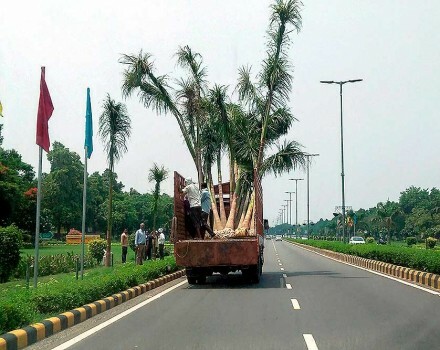 Local authorities transport trees for plantation at Shantipath, in New Delhi. 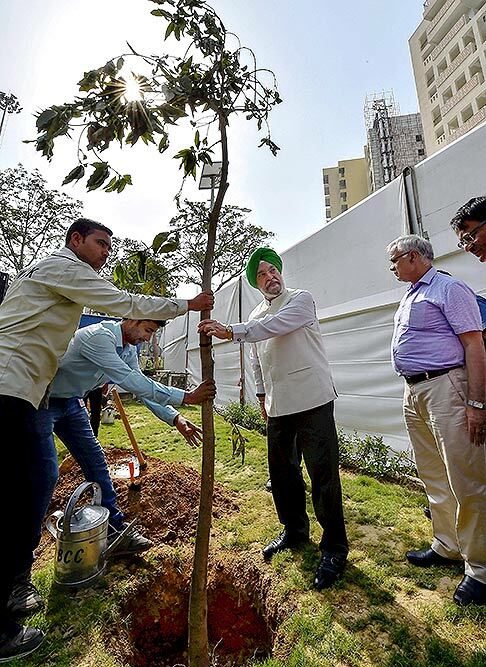 MoS for Housing & Urban Affairs Hardeep S Puri during tree plantation drive at East Kidwai Nagar, in New Delhi. 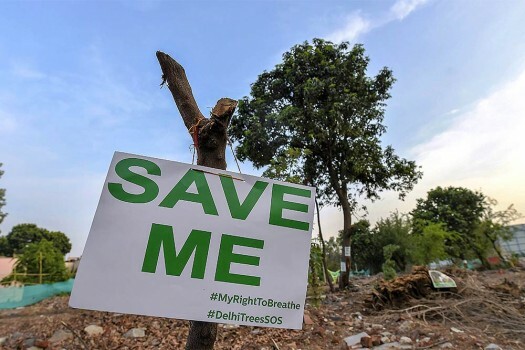 A placards with message, 'save me' hangs by tree log during the 'Delhi For Trees' campaign to save trees, at Netaji Nagar in New Delhi. 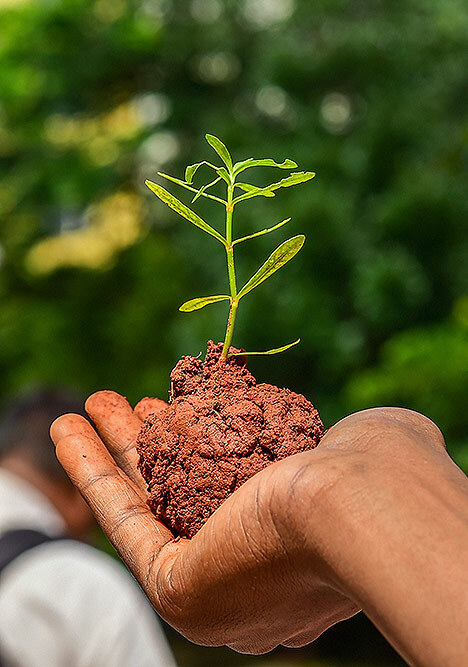 A Bharat Scouts and Guides cadet holds a sapling at an environment awareness rally to mark the 'World Environment Day', in Bengaluru. 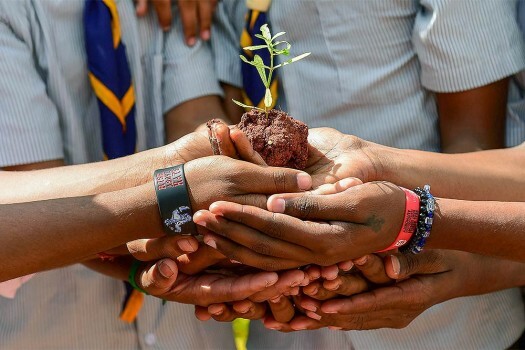 A Bharat Scouts and Guides cadets hold a sapling at an environment awareness rally to mark the 'World Environment Day', in Bengaluru. A small green shoot is growing on the moon in an out-of-this-world first after a cotton seed germinated on board a Chinese lunar lander, scientists said on Tuesday. 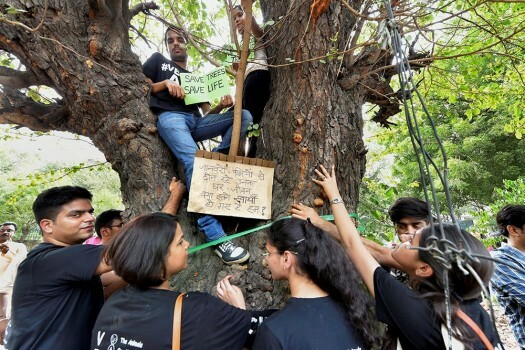 "Delhi government shall explain how a fully grown tree could be equated with 10 saplings? How long a sapling will take to grow as a tree. 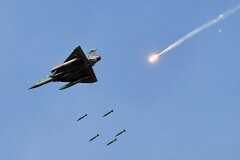 Delhi was earlier known for its bird population," the bench said. 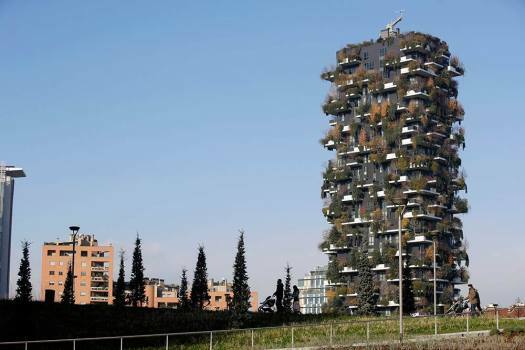 The housing and urban affairs minister said the agencies have been asked to rework and redesign the plans to avoid cutting of trees. 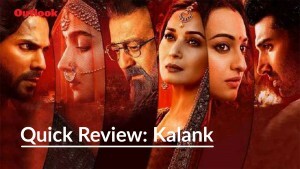 The court will hear the matter next on July 4, while the National Green Tribunal will hear the case on July 2. 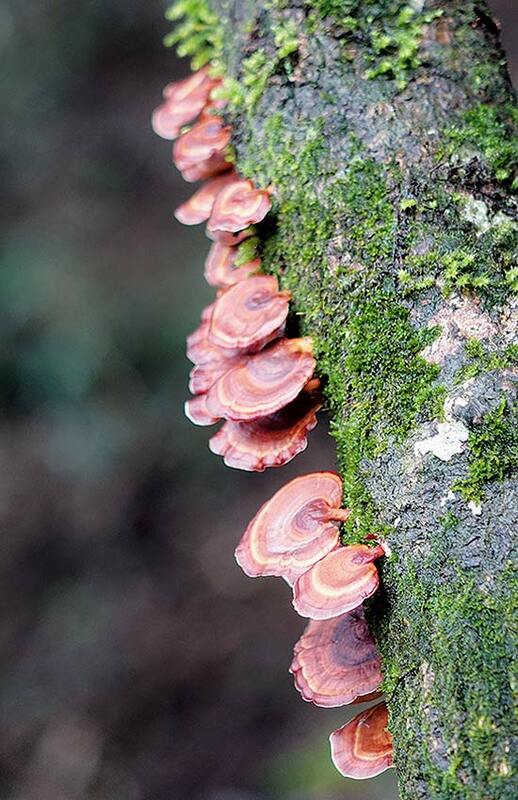 Researchers from Qilu University of Technology in China used a multi-step, yet simple, process to convert phoenix tree leaves into a form that could be incorporated into electrodes as active materials. 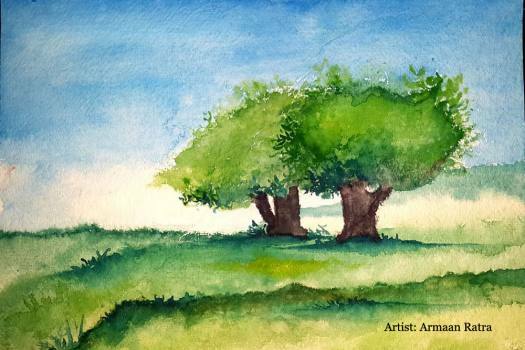 'Environment is for the whole society. The government can compensate an individual but how will it compensate the entire society,' said the court. About 11,000 trees had already been cut—fallen soldiers in a grim battle with ‘development’—before the Delhi High Court moved in with a last-minute stay on June 25.